The year 2015 was all about growth. The Commonwealth saw it’s largest increase in Professional fighters, fights and promotions in a number of years. Numerous amateur fighters, some with a lot of amateur tenure, made their pro debuts in 2015. 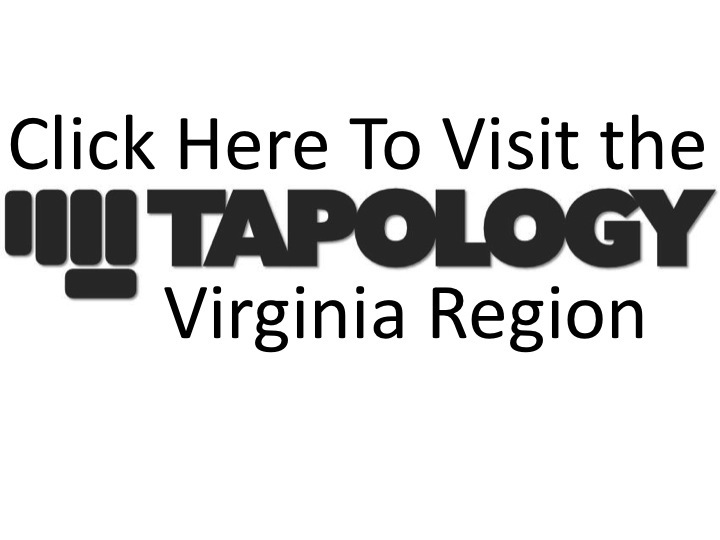 Fighters that we’ve watched in the cage for years, like Shaun Spath, Pablo Garcia and Dashawn Boatwright, for example, moved up to that next level and provided VA with it’s deepest pool of professional talent that we have seen since our inception in 2013. A number of these professional turns were spurred on by the addition of two new Pro promotions, such as Fire & Ice Fighting Championships and Odyssey Fights. Elite Warrior Challenge stepped up their game and added pro fights to their final two events of the year. All of these promotions joined an already strong Strike Off Fighting Championships, who joined the growth movement by striking a deal with their biggest venue yet, EagleBank Arena (formerly knows as the Patriot Center), which housed Strike Off 6, as well as the UFC earlier in the year. We were fortunate to have the ability to grow right along with the sport. We had a full year as a trio of writers and were able to cover more ground and more fights than ever before. We close to doubled the amount of articles in 2015 (45) as we wrote in 2014 (24). We also had a full year of reporting on our new website platform, for the all of 2015 we had over 53,000 page views. Something we had not been able to fully account for before. 2015 also brought on new legislation that expanded the scope of the state to regulate Amateur MMA, something it had not done previously. Currently, the state has approved three sanctioning bodies to oversee all amateur MMA events. Amateur fighters will have to submit blood work prior to fighting. In light of all the coverage, we are back to present our third annual year-end awards. We want to thank all the promotions, fighters and coaches that have allowed us to cover what we love, MMA and in our favorite place to cover it, Virginia. We want to also thank all the fight fans that checked out our content, as well. Our recipient, for a third consecutive year, is MMA Institute. MMAI saw a major transition of several of it’s amateur fighters to the professional ranks. Mike Lawrence, Shaun Spath and Dashawn Boatwright made the jump to the big show and combined for a 6-0 pro record, collectively, while acclimating themselves to the deep waters of the professional fight world. The amateur team didn’t suffer, however, as the ammy squad saw their fight totals almost double over their tally from 2014, as their top performers were Tevin Cooke (3-0), Ben Allen (2-0) and Tyus Thomas (2-0). In all, MMAI had a combined professional and amateur winning percentage of 60% over 60 fights, had winning records out of both pro and ammy teams, promoted several fighters to the pro ranks and debuted new amateurs to fill those voids that remained. Coach McCoy is also pulling down the hat trick as top Coach in VA in 2015. McCoy revived the Pro team by infusing some new fighters into the mix, which revitalized the team and returned it to it’s winning ways. D’Juan Owens had another monster year, going 3-1, as well as the afore-mentioned new Pros. McCoy was also able to bolster the future of the fight team by adding new names such as Jake Lemacks, Tripp Ford and Tyus Thomas to the roster, which, combined with Tevin Cooke, Ben Allen, Carlos Martinez, Chelsea McCoy and others ensure the future of MMAI stays bright. While in name, Cagezilla is winning this award for the first time, their prior incarnation of OO Fights was our 2014 winner, giving Jeff Wylde and his team back to back wins in this category. The name was changed due to help enable a broadcast deal between the Northern VA promotion and the Comcast network. Everything else, however, remained consistent, as Cagezilla was constantly able to provide their fans with quality fights and quality fighters, each and every event. Their partnership with Silver Eagle Group allows fans an intimate environment to cheer on their favorite fighter, as their proximity to the cage provides everyone with a good view of the action, either in the cage or on the big screens above the cage. Cagezilla moved up to their 38th show in the promotion’s history, in 2015, and looks to maintain it’s long presence in the amateur VA fight scene. Momentum, top-notch production, and an ambitious drive have carried over our 2014 Pro Promotion of the Year, Strike Off, straight into 2015. While this year saw a rise in the number of promotions putting on professional fights, Strike Off put on three very good All-Pro cards in 2015. Their February and June cards were held at a larger venue that they were accustomed to, and in October, they went all out and put on a show at George Mason’s EagleBank Arena, the same venue the UFC uses when they visit the Commonwealth. Using a mix of both established and young local Pros, along with good regional talent from all across the East coast, Strike Off continued to grow their brand and mission to build a market dedicated enough to bring the big show around more than once every two and a half years, as is about how often the UFC visits. One of the constants at MMA events all over the State for the last several years has been ring girl Christy Lynn strutting around the cage in between rounds with a big smile on her face. In 2015, Christy worked all three Strike Off events. Gustavo Machado BJJ’s Mitch Aguiar entered the cage last July against, at the time, also undefeated up-and comer, Damon Minor, at Spartyka Fight League 20. Minor used his two biggest strengths, aggressiveness and wrestling, to quickly rush Aguiar after the beginning of the first round. The rush worked. Minor turned a double-leg takedown attempt into a full on over-the-shoulder carry and big slam. Little did we know, that in mid-air, Aguiar finished sinking in a guillotine grip that only managed to lock in as both bodies landed on the mat. By the time the ref came, Aguiar was already letting go, since Minor had already gone out from the submission, only 55 seconds after the fight began. Sometimes there are moments in the cage, that while they look great at face value, increase in value with the story and circumstances around it. There had been a build up in tension between Owens and his Odyssey Fights 2 opponent, Myron Baker. The two were supposed to fight earlier in the year, so there had been ample time for both fighters to build up to the moment they would eventually meet. The head games and smack talk carried over while the two faced off at the weigh-ins. Come fight time, Baker was able to take Owens down at seemingly every attempt. Most of the fight played out with Baker in top position. The story goes that while the action was taking place near Bakers corner, Owens and Baker’s corner were trading verbal shots while in the middle of the fight - whether the next part is accurate or hyperbole, it doesn’t change the outcome of the fight, so we’re hoping that it’s all true - apparently mid-conversation with the corner men, Owens called his shot, reversed Baker and landed a come-from-behind arm triangle choke from half guard that forced Baker to tap. On grit, heart, technical level, and momentum swing alone, this submission was one of our favorites of the year, by itself. The story surrounding it, put it over the top for us. Eleven seconds of action and one hell of a crazy Knockout at last July’s Spartyka Fight League 20, Pride Training Center’s Damien Hatcher and Team Lloyd Irvin’s Al Henderson. As the fight began, Henderson led in with a lead leg side kick. Hatcher side-stepped the kick and landed a huge, looping, overhand right that face-planted Henderson immediately on the mat. If you blinked, you missed it. There was a lot riding for Rollins, personally, coming into his third pro fight after an extensive amateur run. He started his pro career in 2015 with a loss at Strike Off in June and a draw at EWC in August. By the time October came around, he was hungry to get the first notch in the win column. After a fairly competitive 1st round against Anthony Tisdale at Strike Off 6, Rollins went full blast, particularly with big knees in the clinch against the cage. The end came at the 1:30 mark of the second round, Rollins faked a level change and capitalized on a momentary flinch with a power right head kick that dropped Tisdale and finished the fight. There are times when you glance at a fight card and know that a fight is going to be explosive. Then there are the fights that surprise you, after the fact. Our pick for amateur fight of the year fits the description of the latter. August 29th’s Fight Night Challenge pitted Team ROC’s Bubba Blizzard against MMAI’s Jessie Gibson. The two gyms are synonymous with tough fighters, but the grit and determination shown by both were off the charts. Gibson, who due to an accident a year prior, had to be resuscitated on a hospital table and was told he would have to have his leg amputated. Gibson said no, rehabbed and returned to the cage against Blizzard. What these two combatants put on for the fans was 9 minutes of pure fighting heart. What the fight might have lacked in strict technique made up for in pulse pounding excitement. To do this fight justice is to not describe it but for every fight fan to watch it and enjoy it. We have posted this fight at the conclusion of this feature. As soon as this fight concluded, we were fairly certain that any other fight throughout 2015 would be hard pressed to top this one and we were right. Haq-Kayretli was the jewel in the Strike Off 5 crown between our then number 3 & 1 ranked bantamweights, respectively. This was one that jumped off the fight card at you and lived up to the hype. Both fighters known predominantly as strikers, showcased those talents over three paper thin rounds. We gave Haq the first round, by a narrow margin, as Ahmet started off a bit slowly, as has been his trademark. Rounds two and three went to Kayretli (on our unofficial score card) and Kayretli was awarded a split decision victory on the judge’s cards. As was the case with our ammy FOY, this fight, albeit more technical, was just as chocked full of heart, determination and what would turn out to be iron jaws and iron wills. Mikido’s Haq and Kaizen’s Kayretli slugged it out for the full 15 minutes. When you thought one fighter might be at the brink of finishing his opponent, the opponent would come back with a flurry of his own and even the scales. This fight was an instant classic. Chelsea McCoy’s 2015 started in May, as she was finally able to find an opponent that would keep their scheduled fight and fight her. Sprawl N Brawl flew in Nekah Dmitriyeva to take on McCoy for the vacant Women’s Flyweight belt. Dmitriyeva missed weight, but McCoy took the fight anyway. In an extremely competitive fight, Dmitriyeva was able to outlast McCoy and finish her with 33 seconds left in the final round. Due to the competitiveness of the fight, Sprawl N Brawl ran it back at their August show. Dmitriyeva once again missed weight and once again McCoy took the fight. This result would be much different as three months of trash talk and frustration between the camps built up and came to a head in the span of 9 seconds in the fight as McCoy dropped the “Russian Bomb” with a fight finishing punch. McCoy also dispatched Kristen Outten at Sprawl N Brawl 5 in November and was scheduled to fight prospect Morgan Dailey at Cagezilla 5 in December, but that fight was cancelled due to an injury to Dailey. So, on the year, McCoy went 2-1 with the two wins coming by finish. How many regional fighters would accept a fight against the #3 fighter in the world, in their division, on the main card of a nationally televised show on 10 days notice? Not many, but that is exactly what Gabby “Gabanator” Holloway did when she accepted a short-notice fight against Julia Budd at Bellator 133. Gabby, although she went 2-3 for the year, went out and fought very tough competition all over the country (Louisiana, California, Wyoming, North Carolina and Oklahoma) with two of those fights under the Bellator banner. This is Holloway’s second time winning the award, as she was also our Pro Female of the Year for 2013. This award was undoubtedly the most hotly contested award in 2015. There were so many great fights and fighters in the amateur ranks. However, we felt Tony Gravely stood just a bit higher than his peers. The former Appalachian State Mountaineer wrestler compiled a 4-0 record in the amateur ranks before turning pro and finishing the year at 2-1 in the big leagues. Three of Tony’s four ammy fights were title bouts, of which he won all three and two titles in the process. He split his amateur portion of 2015 between two promotions, Fight Lab and Cagezilla and captured the bantamweight title in both, defending the Fight Lab belt in a 5 round decision victory of Da’Mon Blackshear, who had given Gravely his only amateur loss, earlier in his career. The old claim is that we are all within six degrees of separation from one another, or at least from Kevin Bacon. Of all the active VA Pro fighters, Elijah “The Hero” Harshbarger (Our #1 ranked Welterweight) was the fewest degrees of separation from the UFC as any other. The timeline of his 2015 MMA career was about one degree away at every step of the way. In February, a gruesome toe injury forced him to pull out of an interim title fight at CFFC against now UFC fighter, Lyman Good. In March he returned to the CFFC cage and lost to now UFC fighter Jonavin Webb. In September and November he fought and won at back-to-back Ring Of Combat cards, one of which had UFC president Dana White in attendance. Going 2-1 against high-level competition and a first round submission in front of the UFC brass? That’s as good a year as you can ask for without actually being in the big show itself.